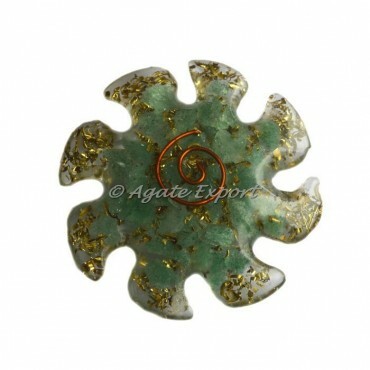 Hand-made emerald green sun shaped orgonite cabochon made from highly polished aventurine gemstone. Aventurine properties are linked with the solar plexus chakra, which makes it a powerful gem for calming negative emotions. Shop for this unique cabochon at wholesale prices and for any special order contact us directly.